HITS has been selected by MHRD-AICTE to establish Institute Innovation Council (IIC), with the unique distinction of being chosen in the first batch of 1000 Higher Education Institutions in India among 1600 applicants. With this establishment of Institute Innovation Council, HITS now has a tremendous chance of contributing to the mission of making India as the global hub of innovation. The grand launch ceremony was held on 21 November 2018 at AICTE HQ. The initiative was launched by Hon. Prakash Javadekar, Union Minister for HRD in the presence of Mr. R. Subrahmanyam, Secretary, MHRD; Mr. Saravanakumar, Joint Secretary, MHRD; Dr. Abhay Jere, CIO, MHRD Innovation Cell; Prof. Anil D Sahasrabudhe, Chairman, AICTE; Dr. M. P. Poonia, Vice Chairman, AICTE; Prof. Bhushan Patwardhan, Vice Chairman, UGC; and Dr. R. Ramanan, Mission Director, Atal Innovation Mission. 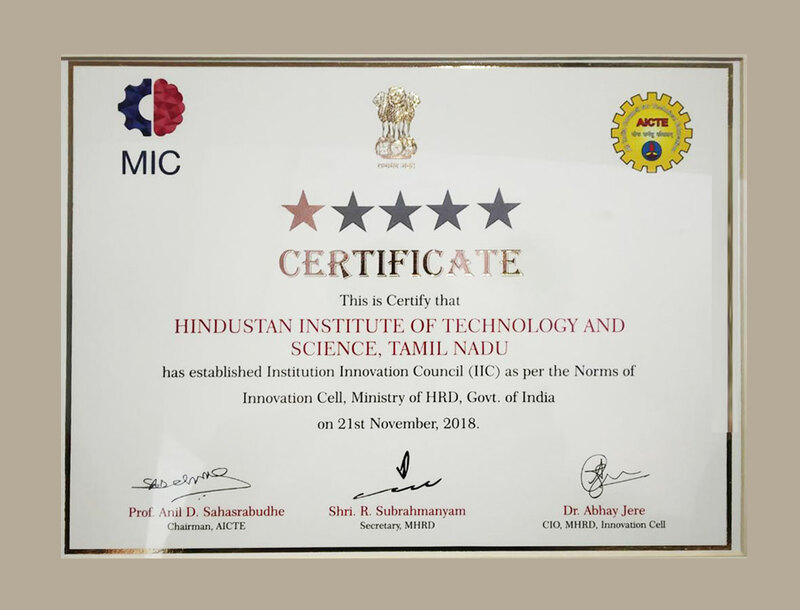 To acknowledge this initiative, a Certificate of Recognition has been given to HITS for establishing the Institute Innovation Council as per norms.